Definition - What does Apan Vayu Mudra mean? Apan vayu mudra, also known as mritsanjeevani mudra, is a very powerful mudra, which was in ancient India believed to save lives in case of heart attacks. 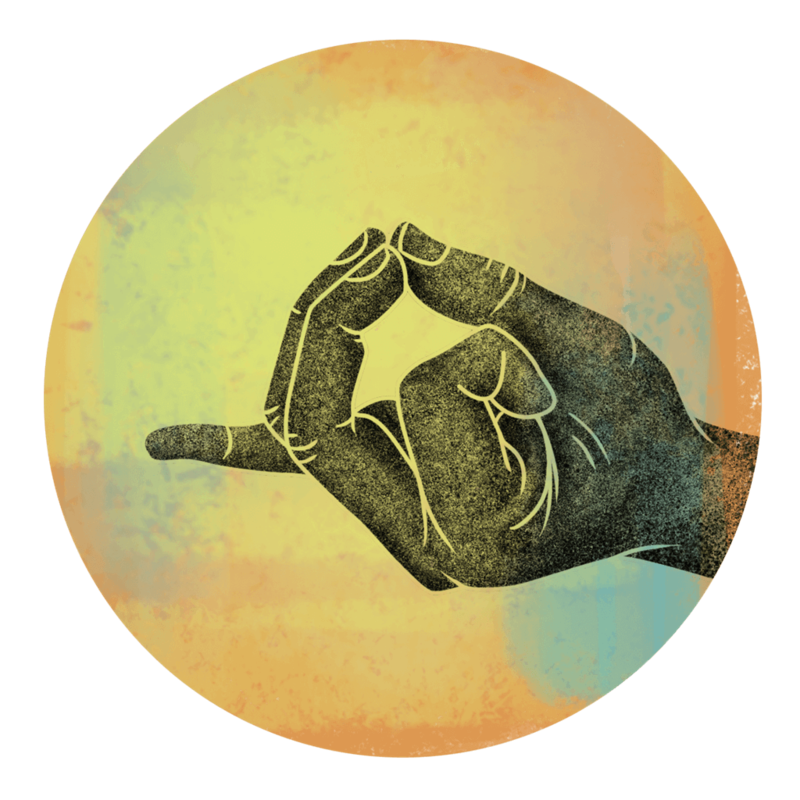 To perform this mudra, the index finger folds and the tip touches the base of the thumb. The tips of the thumb, middle finger and ring finger touch, little finger remains straight and pointing outward. Folding the index finger reduces the air element, which helps to relieve pain and relax the body and mind. Connection of the thumb, middle finger and ring finger increases the fire element and the earth element, which helps to detoxify and cleanse the body, supply more oxygen to heart arteries and increase the power of the heart. Apan vayu mudra should be practiced daily for 30 to 45 minutes, either all at once or three times per day for 10 to 15 minutes. If one is suffering from chest pain, this mudra should be practiced contninuously, until the pain is relieved. People with kapha constitution should practice this mudra moderately. Practicing this mudra is benefitial for people with fast heart beats and people suffering from chest pain caused by blockages within the arteries. It can also help to relieve headaches, toothaches, backaches or pain in the joints. People who suffer from cardiac ailments in the past should perform apan vayu mudra on a regular basis. In fact, it is believed that apan vayu mudra is a very good emergency treatment in case of a heart attack. It allows the patient to arrive safely to a hospital without causing any damage to the heart.